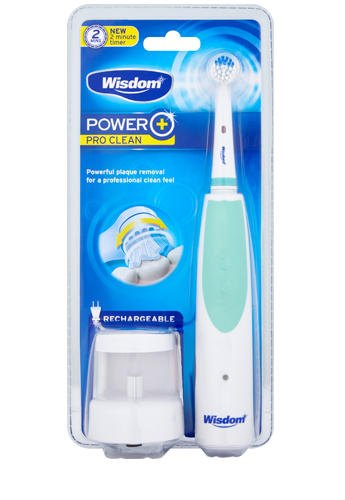 Use Wisdom Power Plus rechargeable toothbrush for effective cleaning and removal of plaque from teeth – actively helping to maintain healthy gums. With a powerful cleaning action of 9000 oscillating movements per minute., it effectively removes plaque and stains for whiter teeth. The active tip on the brush head also helps to clean hard to reach areas whilst the soft filaments protect gum tissue. 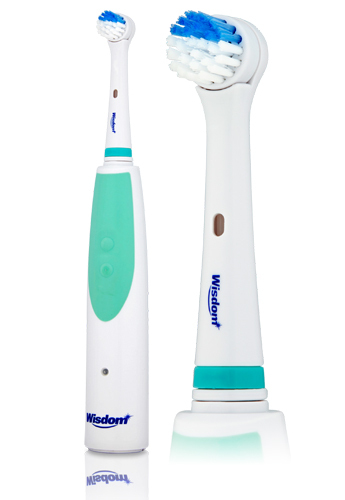 Includes: Brush handle & head, charging unit with mains cord (shaver socket fitting).